Nestling along a fabulous beachfront of the Riviera Cancun. A variety of light and spacious junior suites are available here, including Deluxe Junior Suites Tropicalview, which offer views of the lush gardens. For upgraded amenities such as personalised check-in and concierge service, treat yourself to a stay in a Preferred Club Junior Suite. The Preferred Club Deluxe Junior Suites Oceanfront and Beachfront even feature a Jacuzzi tub on the terrace. 3 pools, 1 adults-only pool for Preferred Club guests*, spa*, fitness centre, tennis courts, non-motorised watersports. The Now Spa by Pevonia is a tranquil retreat for guests of all ages. Guests at Now Sapphire Riviera Cancun will be able to enjoy complimentary greens fees per person, per day at Grand Coral Riviera Maya Golf Course. 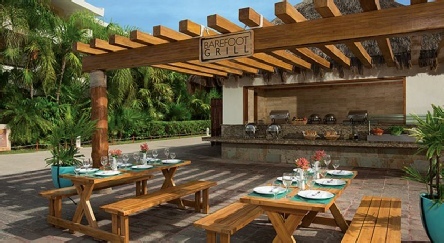 Enjoy gourmet and casual dining with a choice of eight restaurants – five of which are à la carte – offering Mexican, French, Mediterranean and Asian cuisine and seafood specialities. There is also a buffet restaurant and 24-hour coffee shop as well as four bars and a nightclub. When the sun sets the entertainment continues with live music, film screenings on the beach and theme nights. If you are looking for an elegant and relaxing hotel with plenty of facilities, activities and entertainment then this resort, set on the soft white sands just south of Cancun, certainly fits the bill. 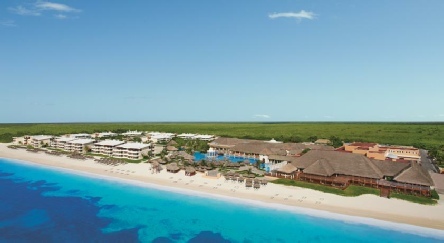 2019 package holidays to the Now Sapphire Riviera Cancun, Mexico Prices are per person based on two sharing.